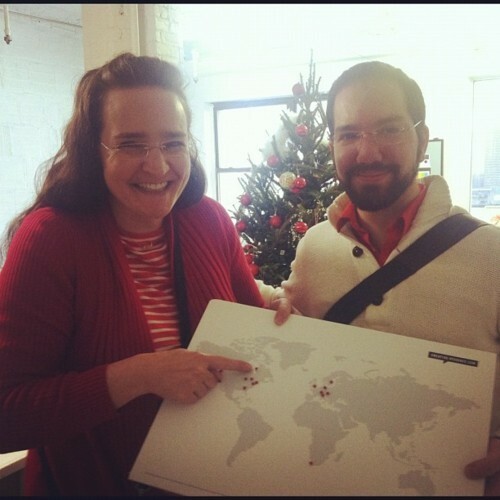 Over the holidays I spent a few days in NewYork and met with Tina (SwissMiss) at Studiomates which also serves as the Creative Mornings HQ and officially put the Toronto pin on Creative Mornings map! Very much looking looking forward to an amazing year of lectures with in Toronto. The view from Studiomates’ windows are stunning, if I worked thereI I’d probably spend more time watching the bridges, the boats and people than work. Dumbo area so took this chance to walk around and admire the unique spaces on the edge of Brooklyn.